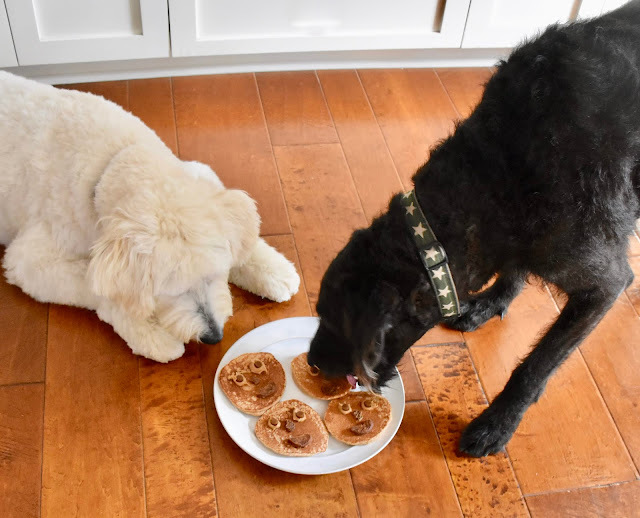 Mom heard it was Pancake Day and wanted us to join in the festivities. Teddy was excited when he saw the pancakes made just for us. I thought they looked rather bland. But then Mom took away the plate. 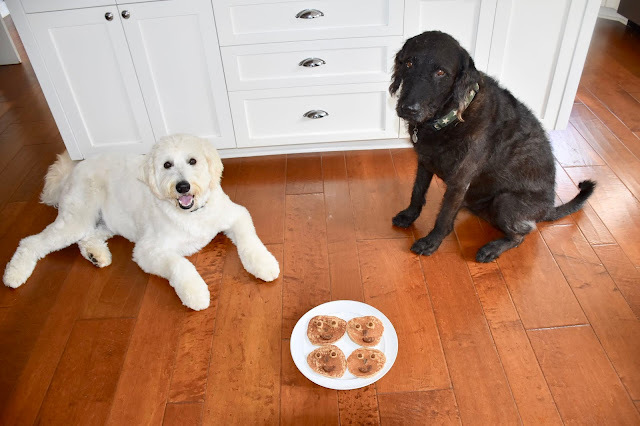 When she put the pancakes back down , they were happy faces made with peanut butter and our favorite treats! No reason to wait. 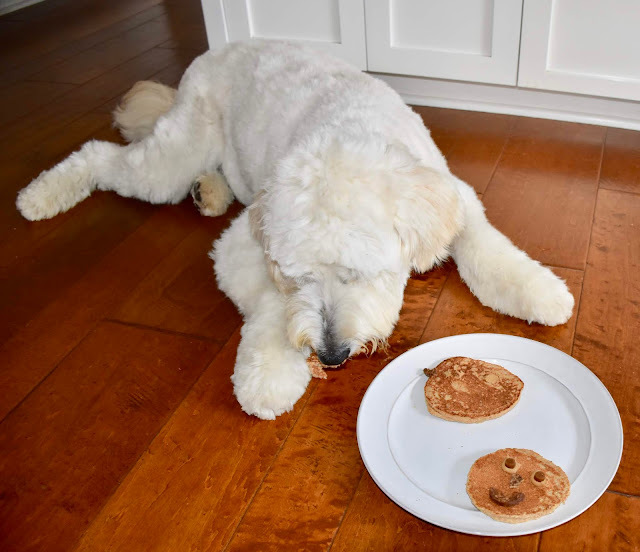 I grabbed a happy pancake right off the plate and brought it to my mat. 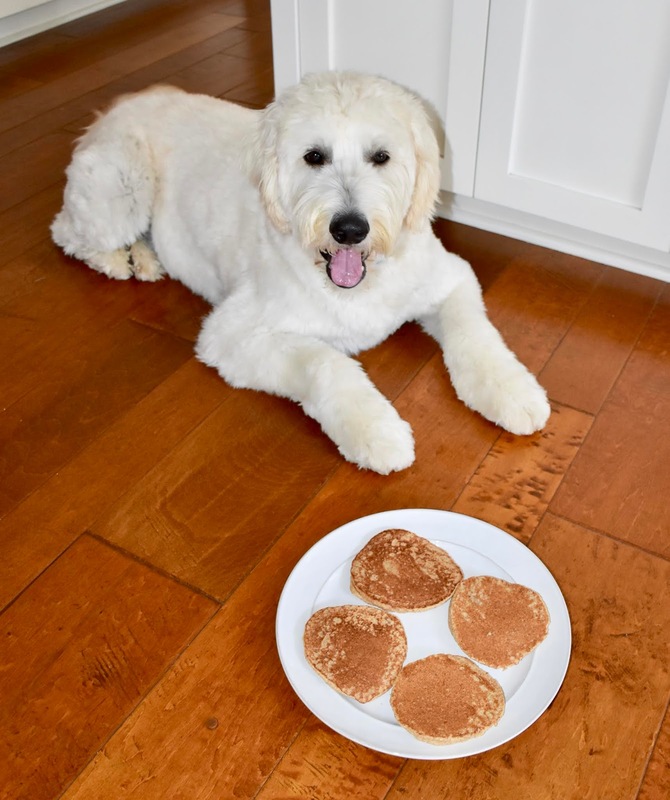 Teddy also grabbed a pancake. However, he first licked the face off a different one ! 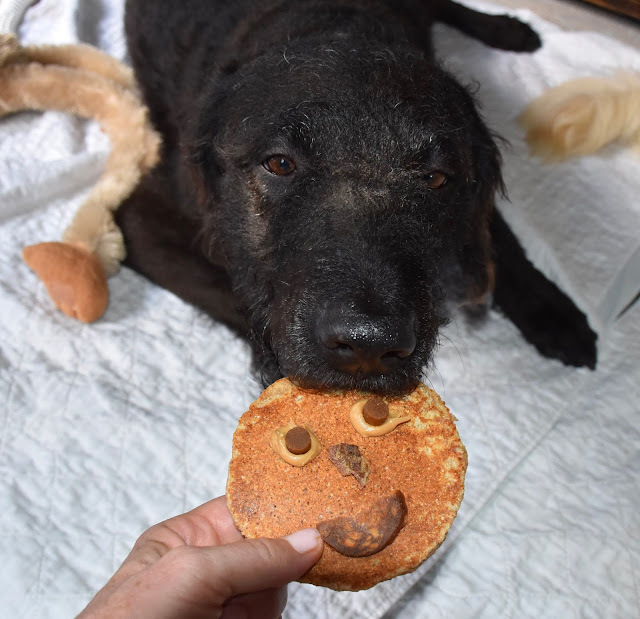 So before Teddy could lick another face off, Mom brought the last full face pancake to me! I love my Mom.